2 channel video installation / performance. Prosopopoeia is a project about the Glooscap Trail, a series of highways surrounding the Bay of Fundy in Nova Scotia. 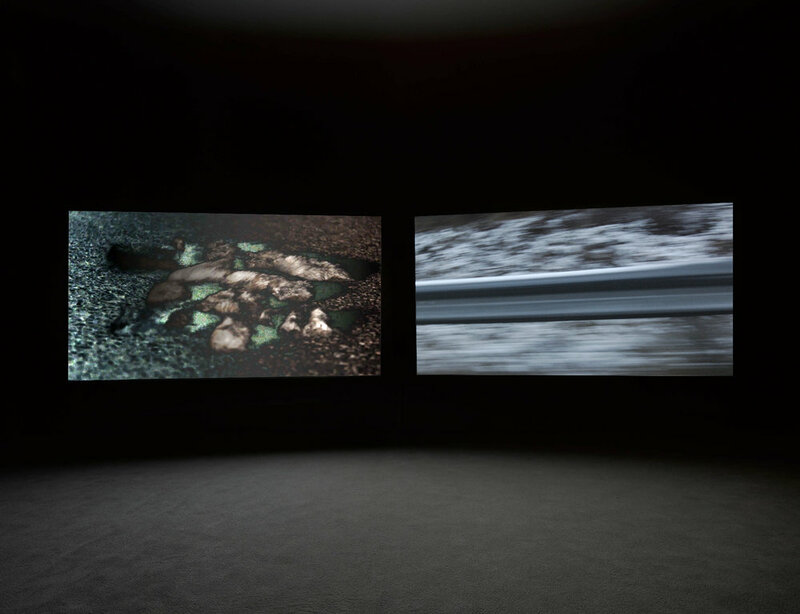 The project is a two channel video installation, with one video shot outside a car window, and another shot from underneath passing cars. The project began with research into the history of the Glooscap Trail, and evolved into a history of how settlers have used and misused the indigenous (Mi'kmaw) name, "Glooscap" in the region. The title comes from a literary device. A technique writers used when shifting voice or perspective to "speak through the voice of an other." Each stage breaks a rule established in previous. For instance, stage one, Asheri is motionless; stage two, Asheri begins to move. Or, stage 5, Asheri begins to sustain eye contact with the audience; all previous stages, Asheri passively avoids their gaze. In this way the performer accrues agency over the course of the performance, and in each stage the audience's ability to distance or dissociate from the performer is challenged. Prosopopoeia was supported and presented through the Centre For Art Tapes, 2016–17 Media Art Scholarship Programme.